Posted on November 13, 2018 by Billy S.
Formsite has style settings to allow form owners and designers ways to customize virtually every part of the form. These settings share common colors, fonts, borders, and spacing with other form elements, such as the Save & Return login page and Success Pages. The Themes page allows form owners to select a style and color palette that suits the form and/or brand. 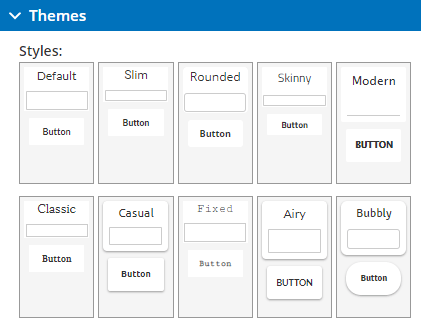 Built-in themes set the form fonts, size, corner rounding, spacing, etc. and are the best way to quickly apply settings. 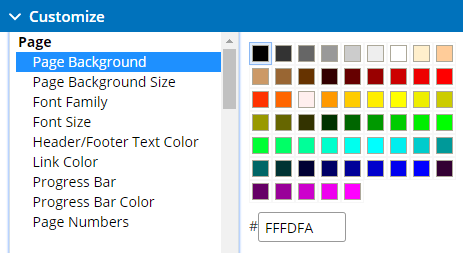 The colors area allows form builders to choose a quick color combination including page background, font colors, Heading and button colors, etc. 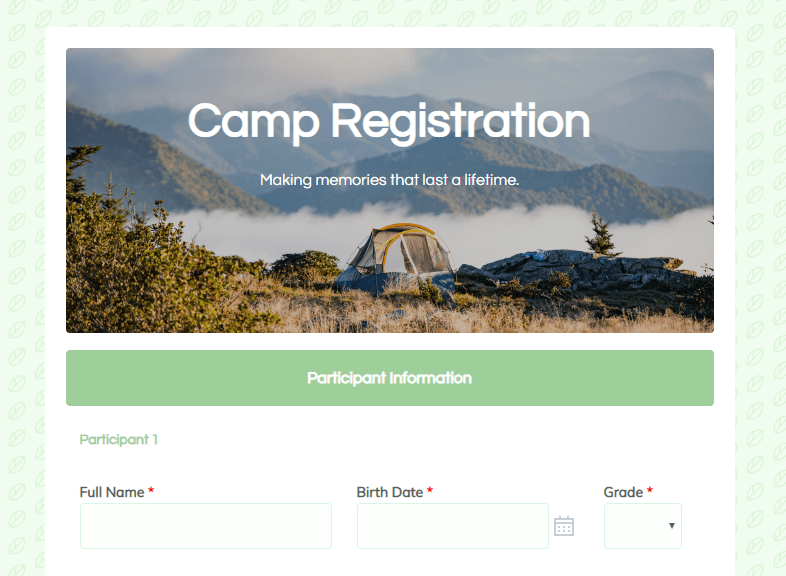 After choosing a theme, the next step adjusts specific settings to further customize the form style. Submit Button: Button styles like width, color, etc. The HTML Head box also contains tracking or other code that says to ‘paste into the head’ of the page. 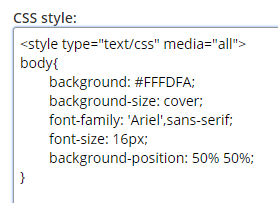 Also on the Advanced page is the form’s CSS code, and form builders are welcome to customize the CSS as needed. Note that both areas on the Advanced page are for advanced users and may cause problems with the form if there are errors with the script and/or CSS.